Longwood University’s College of Business and Economics real estate faculty are nationally ranked in the American Real Estate Society’s Real Estate Academic Leadership (REAL) rankings. Longwood’s ranking has moved from 19th in 2015 to 16th in 2016! 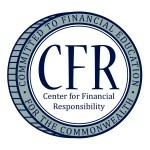 The Center for Financial Responsibility was established in the aftermath of the Economic and Housing crisis in 2008. Specifically, faculty in the College of Business and Economics at Longwood University were convinced of the need for greater financial literacy at all education levels. Providing leadership, faculty support in promoting a very strong and reputable Finance and Real Estate program in the College of Business and Economics. Faculty support in the Real Estate Concentration for the Masters in Business Administration. Promoting financial literacy in Virginia high schools by offering a dual enrollment class in economics and personal finance. Providing community outreach for help with financial decision making such as housing and transportation, investment/savings, retirement and tax assistance. Offering continuing education classes for business professionals and educators. Established in 1839, Longwood University has grown into a multifaceted, coeducational, public institution serving approximately 4,900 students. Longwood University students come from more than 25 states and foreign countries; however, 90% of students are from Virginia. The student body is 31% male with 15% minority enrollment. Longwood University’s College of Business and Economics (CBE) is one of the University’s three undergraduate colleges and has a current enrollment of approximately 500 students. The CBE is accredited by AACSB International (the Association for the Advancement of Collegiate Schools of Business). There are approximately 14,000 institutions of higher learning in the world offering business degrees but only 711 (5%) are AACSB accredited and those accredited schools are in 47 countries and territories. In the spring of 2012, recognizing the need for financial education, the Longwood faculty voted to approve personal finance as one of the general education electives.